Particularly for Saint Andrew's Day, to open the evening for the usual enormous annual gathering of the Clans at the Savoy. Image: Designed by Norman Bel Geddes. 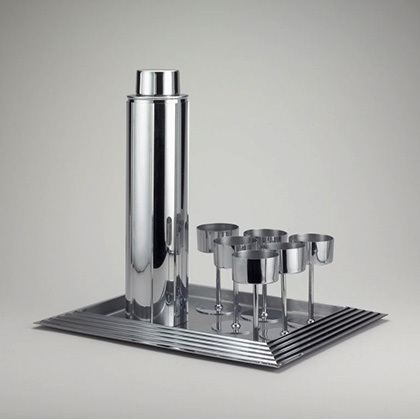 Manhattan Cocktail Set, designed 1934/35; produced c. 1939–41. Restricted gift of Charles C. Haffner III.